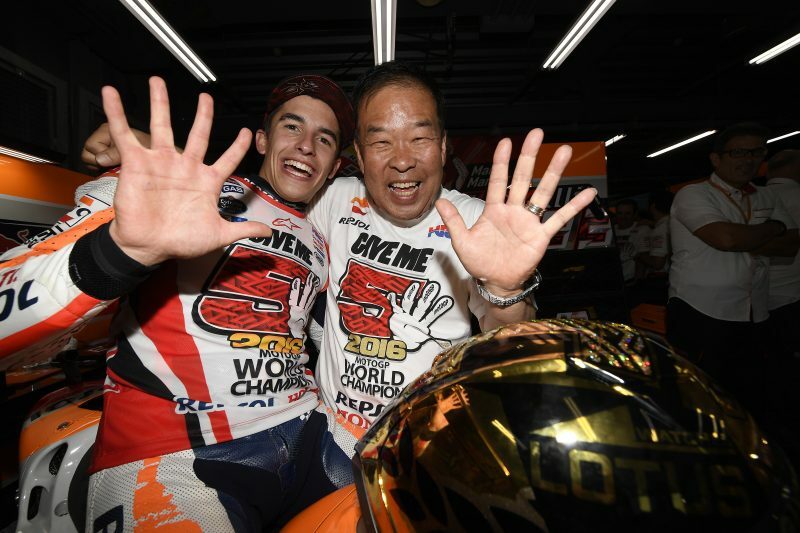 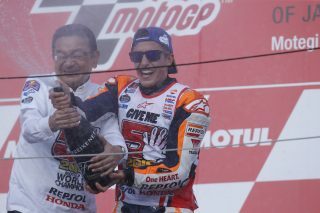 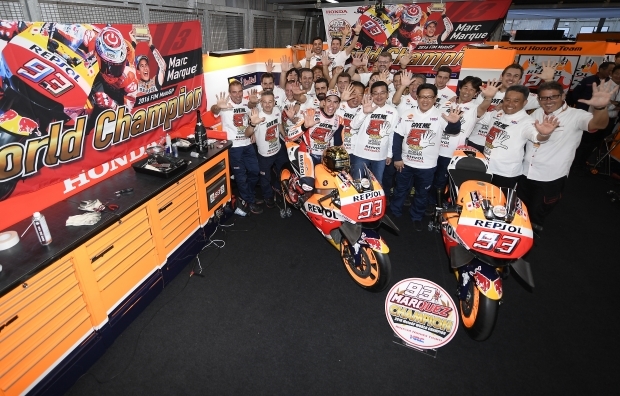 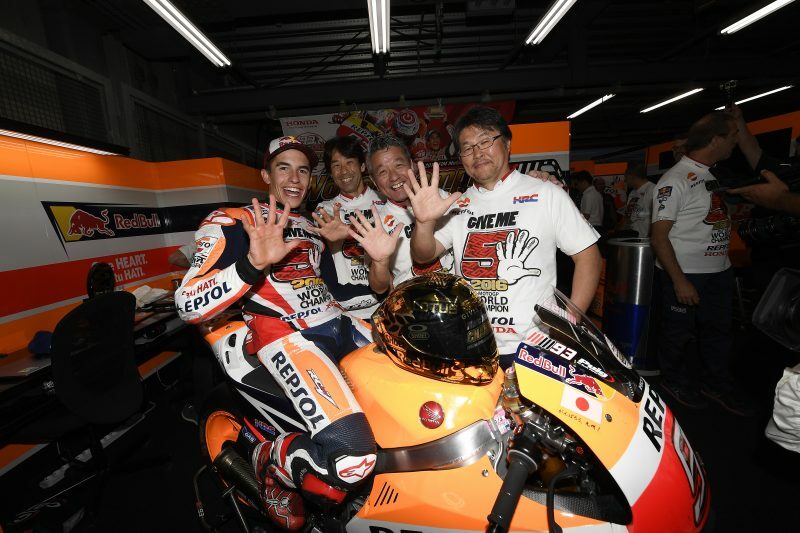 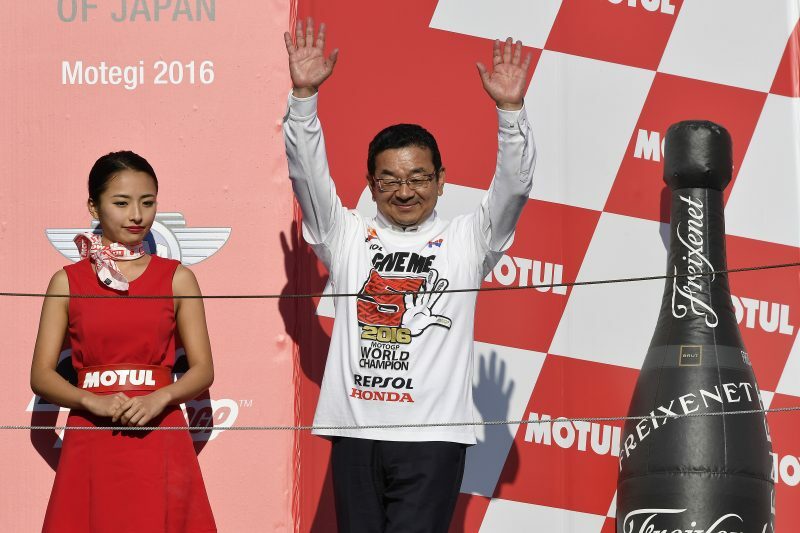 Marc Marquez took a remarkable victory at Motegi today to become the 2016 MotoGP World Champion with three races to go, in front of Honda President Chief Executive Officer and Representative Director Mr. Takahiro Hachigo, who joined Marc on the podium, Operating Officer and Director Mr. Shinji Aoyama and HRC President Mr. Yoshishige Nomura. 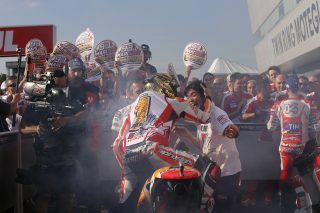 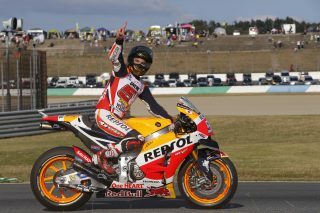 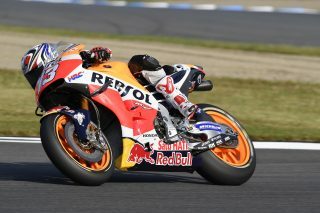 Marc got off to a brilliant start and immediately engaged in a fight for the lead with Jorge Lorenzo and Valentino Rossi. On the second lap he overtook the Italian at turn eight and began to pursue Lorenzo, taking over the lead on lap four. 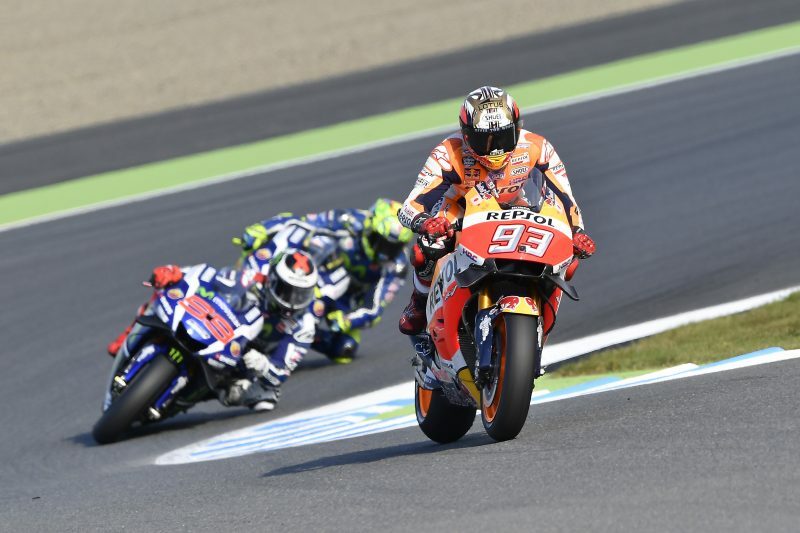 He immediately showed that he had the rhythm and speed to make a breakaway, putting in a series of laps in the 1’45 range and pulling a half-second gap on his countryman. 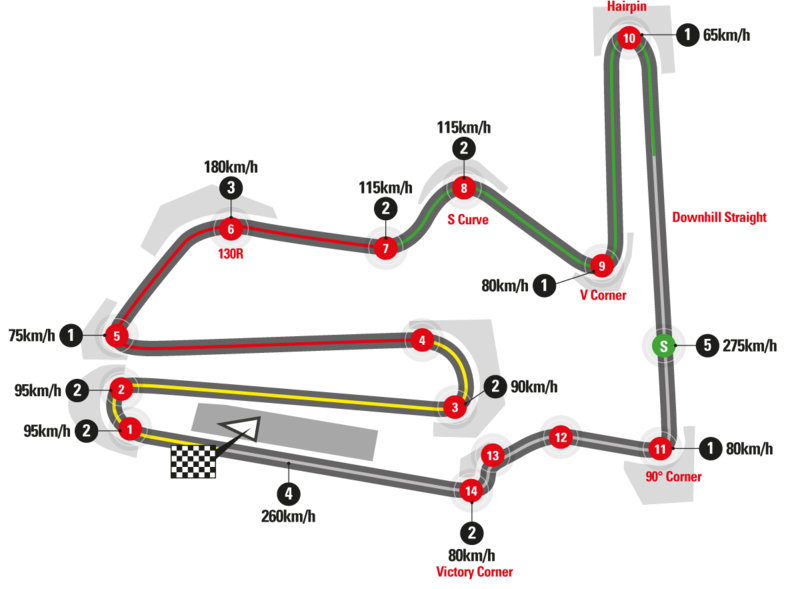 Lap six brought the first major turn of events, as Rossi fell at turn seven and was forced to retire. 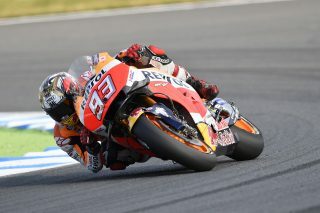 Marc continued stretching his lead until Lorenzo also slid off, with five laps remaining. 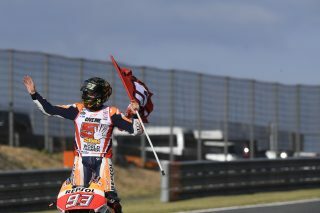 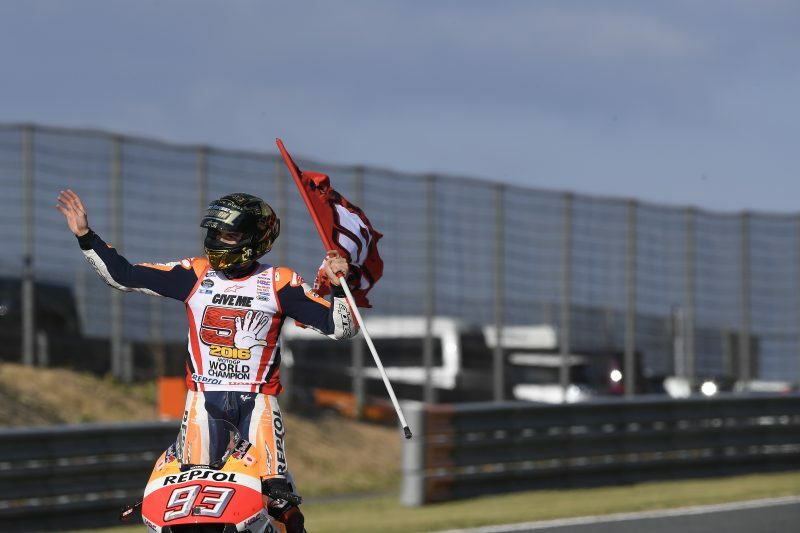 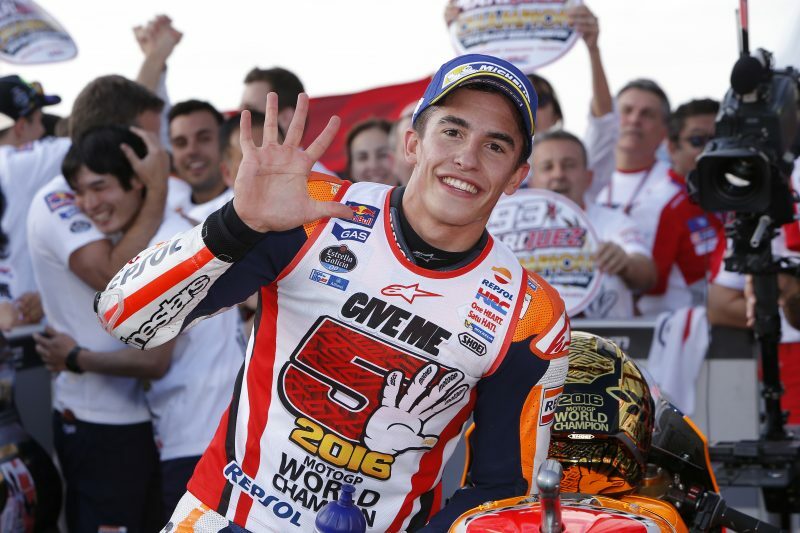 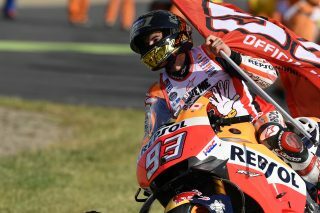 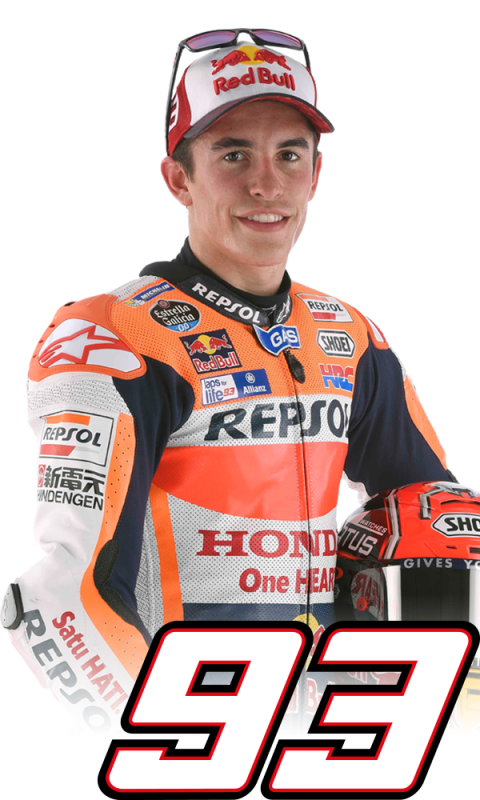 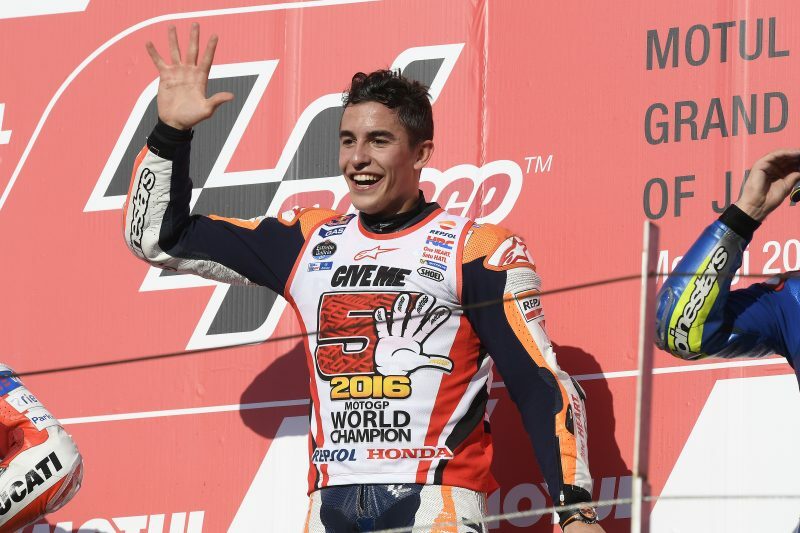 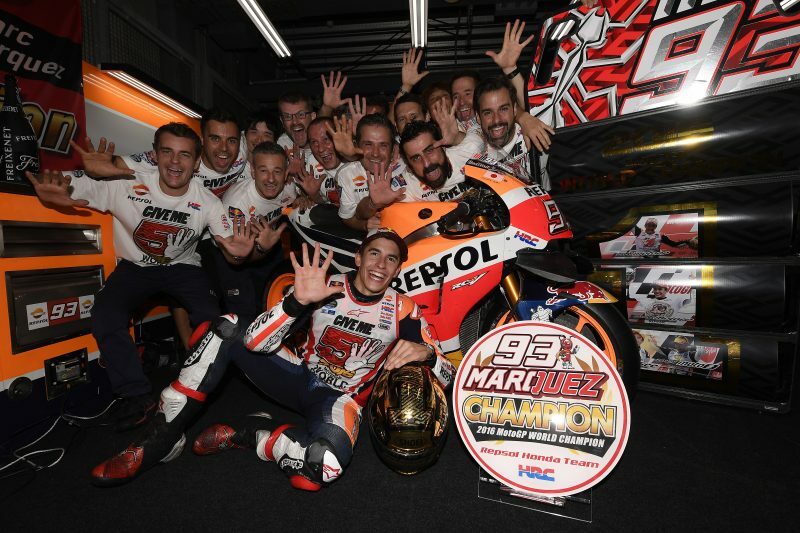 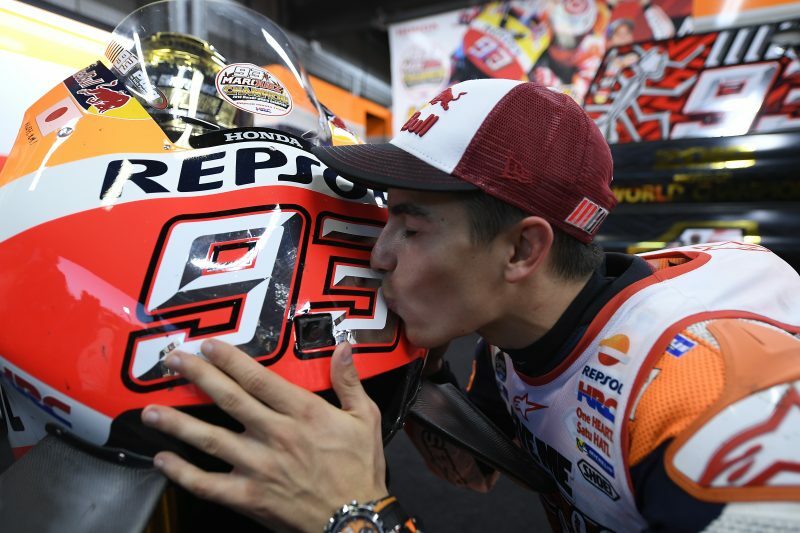 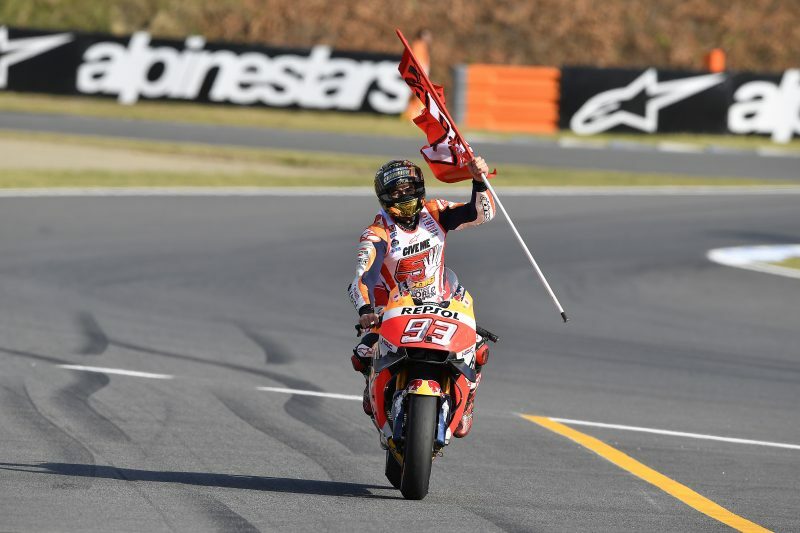 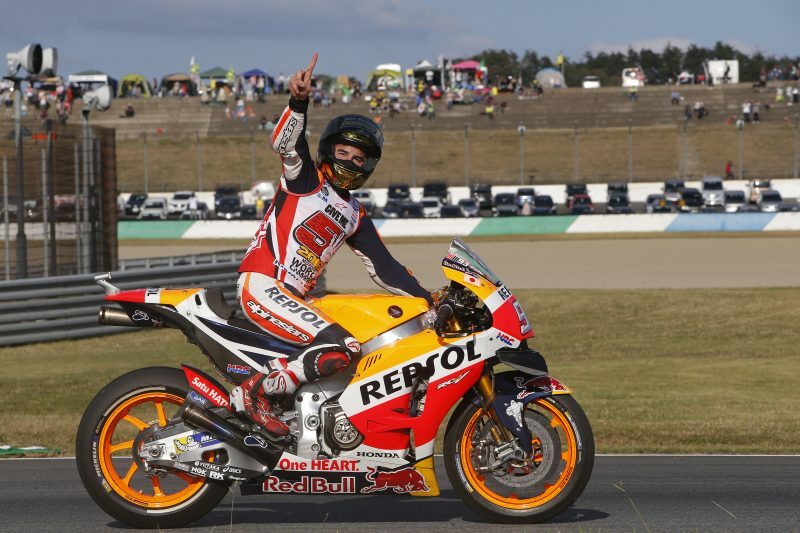 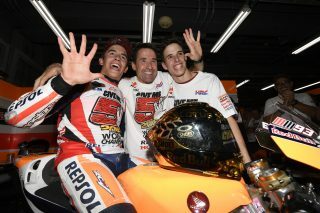 With his fifth win of 2016 and the 55th in his career (across all classes), Marc became the youngest rider in the history of the sport to earn five World Championships (125cc in 2010, Moto2 in 2012 and MotoGP in 2013, 2014 and 2016). 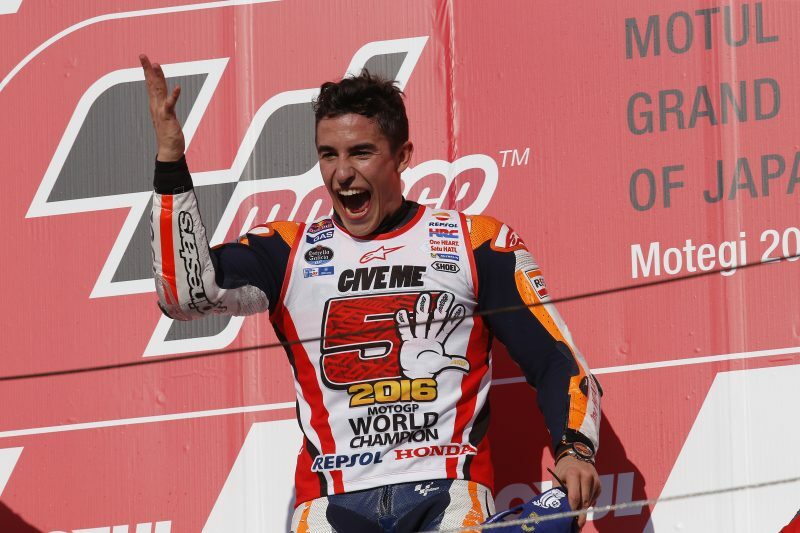 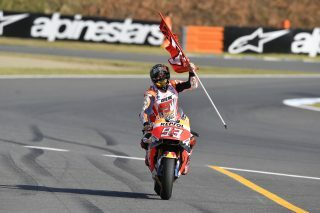 Marc is also the only rider in any class to score points at every race so far this year. 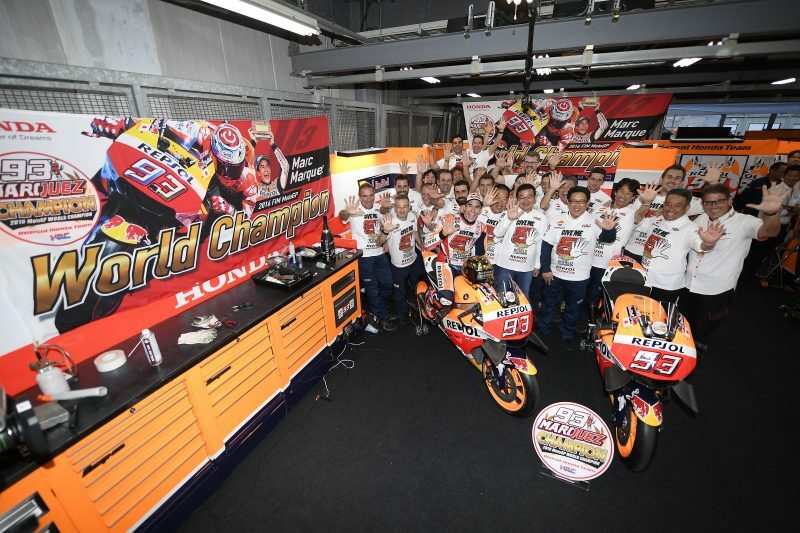 Today’s victory also extended Honda’s lead in the Constructors World Championship to 28 points, and it is the sixth Honda victory in the last eight races. 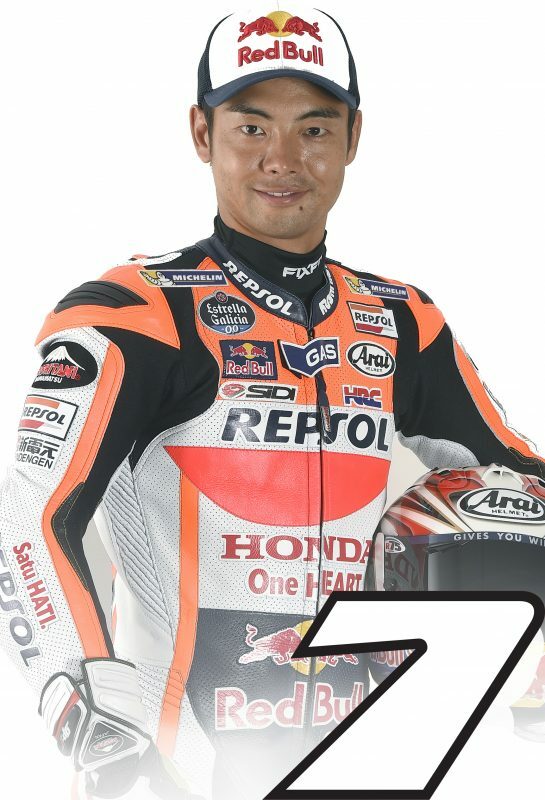 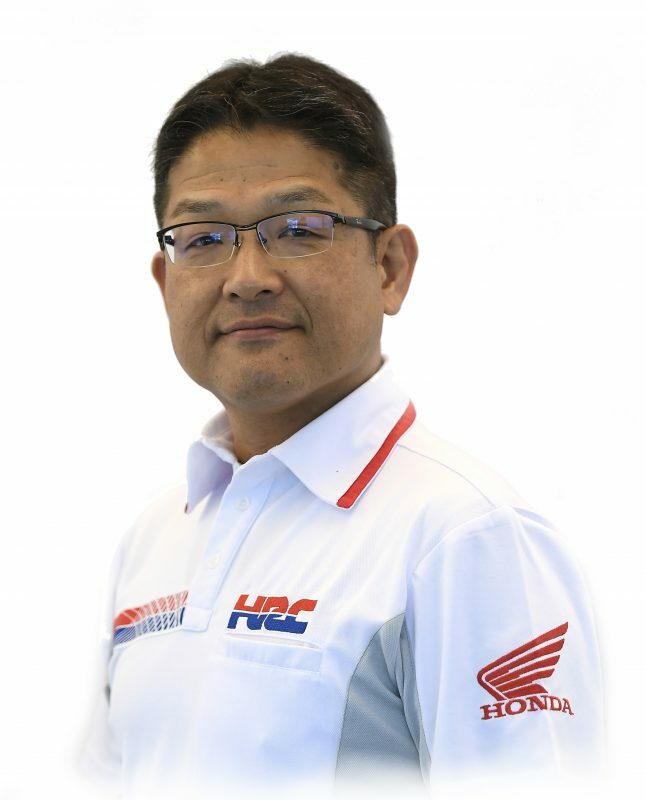 Hiroshi Aoyama stepped in to replace Dani Pedrosa (who broke a collarbone in a fall on Friday and underwent successful surgery the following day) just on Saturday morning, and today he scored a single final point for his 15th-place finish. 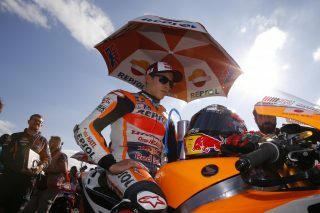 “The regulation changes posed a big challenge for Marc and the team this year. To be able to win such a season is the culmination of a lot of talent and a lot of hard work. I’m thankful for the hard work the team put in and all the support we have had from our sponsors and our fans worldwide”.